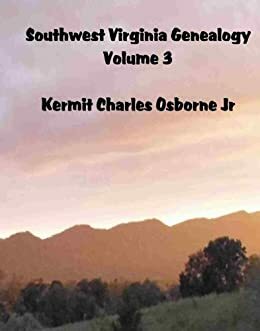 Since all kinds of genealogical information is available on the Internet, in libraries and through countless other databases, you have endless sources of research for your own work. However, if you intend to publish your research when it is complete, you need to protect yourself from legal issues of copyright infringement. It’s hard to imagine that information about your own family might not belong to you, but by learning copyright laws, you’ll be able to understand why you need to be careful to not steal from other sources. Remember to protect your work with copyright registration as well to prevent people from stealing from you! There are many things that cannot be copyrighted no matter how much time you spend researching it. For example, a simple pedigree chart or list of basic facts, no matter where you get them, cannot be copyrighted. What can be copyrighted, on the other hand, is your personal narrative. Information in this narrative that can be found in many sources is not copyright-able, and neither are titles, charts, etc, but your exact words cannot be taken and used by someone else, so remember that it is illegal to copy and paste information directly from an Internet source and then publish it as your own. If there is any question in your mind, it is best to contact the original author and ask permission to use them as a source in your research. This person is most likely a very distant member of your own family, so he or she should be more than willing to grant you access, with certain limitations. Whenever you write something that is original, it is automatically yours-you don’t need to protect your work with copyright registration to make it illegal to steal it. However, when court battles arise, it is impossible to prove that a piece of work belongs to you if you do not register it. Your opponent can simply turn the tables and say that it was you who was doing the stealing. To obtain protection, you must pay a flat fee to register with the Library of Congress. The form for registration can be mailed to you or downloaded and printed from the Internet, but in either case make sure to follow the directions completely. They will require two copies of your finished piece for their archives, and you will receive documentation of your copyright protection in case any legal problems should arise. Remember to be responsible-you don’t want other people stealing your hard work, so don’t steal from the people who’ve published before you.